Sir Trevor McDonald OBE is one of the UK’s best-loved broadcasters. Born and educated in Trinidad in the West Indies, Sir Trevor came to London in August 1969 to work as a Producer in the BBC Overseas Regional Service. He went on to produce Current Affairs programmes for the BBC World Service and in that capacity worked on the initiation of a number of shows like The World Today. In 1973 he joined ITN as a General Reporter. His first major assignment was in Northern Ireland where he covered the Province’s ‘troubles’ for more than a decade. In 1982 he joined Channel 4 News as Diplomatic Correspondent and Presenter. In this capacity he reported from every Continent. During this time he also worked extensively in the United States reporting on the unfolding events at the United Nations during the Falklands War, from New York and from Washington, as well as covering a number of Presidential and Congressional Campaigns. Sir Trevor reported on Soviet Communist Party Conferences from the time of President Brezhnev and returned to Moscow and to Washington to report on East West Summit meetings, prominently among them… those between Reagan and Gorbachev. His coverage of the ‘people power’ Philippine Elections in 1985 won a BAFTA Award for Channel Four News. When not working abroad, Sir Trevor began his career as an ITN Presenter. He anchored every ITN News programme – from what used to be the News at One, the News at 5.40 and 6.30 to the flagship and award winning News at Ten. He became Diplomatic Editor in 1982 and in February 1990, after several visits to Southern Africa, went back to Johannesburg to report on Nelson Mandela’s release and to do the first British Television interview with the ANC leader for ITN. In November of that same year, just before the start of the first Gulf War, he did the first and still the only British television interview with former Iraqi President Saddam Hussein. In the ensuing years at ITN, Sir Trevor conducted the most important television interviews of his time: with Libyan President Colonel Gaddafi, with the former PLO leader Yasser Arafat, with President Bill Clinton, and Secretary of State Colin Powell along with a number of American Presidential candidates and Congressional leaders. 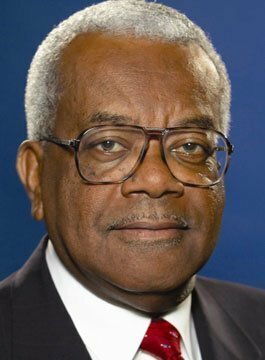 Sir Trevor McDonald became the first sole Presenter of News at Ten in 1992 and anchored the Late Evening News until December 2005. By then he had received more awards than any other news broadcaster in Britain. From 1999 to December 2007 Sir Trevor presented ITV’s bi weekly flagship Current Affairs programme, Tonight, during which time he interviewed President Bush on two occasions and political figures like Tony Blair, Secretary of State Rice, Hilary Clinton and other senior politicians. More recently he has presented a number of documentaries for ITV1; including Secret Caribbean, Secret Mediterranean, The Mighty Mississippi, Inside Death Row, Women Behind Bars and The Mafia with Trevor McDonald.